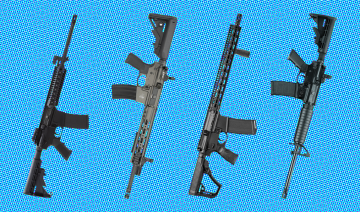 If you’ve never built an AR-15, you may be wondering where to start. Well, it all begins with a little planning and that means determining what parts you need and the required tools and instructions for putting it all together. Today, I’m going to start with the basic parts you need to build your own awesome AR-15 from scratch. While you could go to a gun shop and buy a complete rifle, you might find you’re happier with a custom-made piece. Building an AR-15 from the ground up means it’s perfectly crafted to fit your needs; whether that’s personal protection, competitive shooting, or you simply want a high-performance rifle for the range. In many instances, you can save money when you build your own AR-15, but in all instances you accomplished a project that you’ll benefit from for years, which is pretty awesome. That said, building an AR-15 is much more time consuming than buying, and if it’s your first time through, it can be intimidating. The AR-15 Build Guide is here to walk you through building your first (or second, or third) AR-15 from start to finish. For now, let’s about the first step in any AR-15 build: brainstorming what kind of gun you’re looking to make and what that means for your parts. The first thing you should do is come up with a very rough idea of what you want from your weapon and settle on a budget. You should think about the intended purpose for the weapon and where you will be using it the most. This will help you out later on when you buy your parts. In order to help you refine your vision, I’ve split up builds into three general categories. Standard Build: In this category you’re looking for an AR-15 that resembles a military issued weapon as closely as possible. That not only means all of the parts match military tolerances and dimensions but it actually looks like it came straight from the arms room. It also means you’ll forego a lot of the common upgrades and instead opt for more standard fare. While these builds are bare bones, they make great range guns and are perfect for personal protection. They’re incredibly cost effective, too. You can easily put together a quality weapon for around $600. Modified Build: This is a great option for a lot of AR-15 builders because you can stretch your budget and weapon to match almost any scenario. In this category, you’ll retain many features of a standard build but you’re free to change any parts you want. In fact, tons of people start out with a standard build and upgrade as time and money allows. If you’re looking for a multi-purpose weapon that won’t break the bank, this is it. By nature, these builds vary quite a bit in price, but in general you can put together a nicely outfitted weapon for less than $1,500. Performance Build: Here is where things get interesting (and expensive.) If you’re looking for a build in this category you’re probably a competitive shooter or at least someone with a great affinity for these weapons. In this category pretty much everything will be upgraded. From barrel to optics to trigger group, you’ve meticulously planned every detail. Be prepared to shell out some cash and devote a lot of time to your weapon. Again, there is a good range here, but typically an all out AR-15 build will cost from $1,500 and beyond. Note: These price ranges don’t include tools. Chances are, if you’ve ever built an AR-15 before, you probably have everything you need lying around. Otherwise, that’s another expense you need to consider. I won’t be addressing tools here- but that’s your logical next step. Incidentally, I have an article on what tools you’ll need. And to make things even easier, if you sign up to my email list on the right, I’ll send you a convenient checklist that covers both parts and tools. Every fully-functional AR-15 is made of the same basic components. And I’ll walk you through the basic parts you need for your first build in this section. Remember, I’m only talking about the parts here. I’ll get down to the tools you need and how to put it all together later. For now, I want to point out what the important components are and what exactly they do. The AR-15 is made of two main components, the complete upper receiver and the complete lower receiver. The stripped upper receiver is the base of the complete upper receiver. It’s what you bolt your barrel, gas system, and handguard to. It also features an ejection port where spent rounds are expended and a forward assist button that aids in feeding rounds in certain scenarios. Internally, it houses the bolt carrier group, and has an external charging handle that you pull back to chamber a new round. Forged and billet receivers are most prevalent, each offering their own advantages and disadvantages. Forged receivers are the most common choice and they offer a combination of strength and cost effectiveness that is hard to beat. Billet receivers are also popular but more expensive than forged receivers and not quite as sturdy. Billet receivers are aesthetically pleasing and there are a ton of interesting variations that you may find appealing. Regardless of any perceived strength issues, billet receivers perform as well as forged receivers and are an excellent choice for a high-end build. 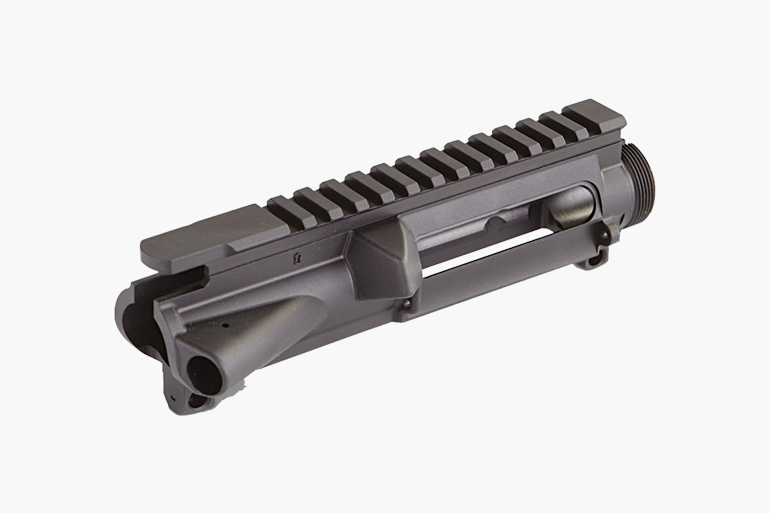 The upper receiver has only a few parts to contend with and installation is simple. The main components are the ejection port cover, forward assist button, charging handle and associated parts. 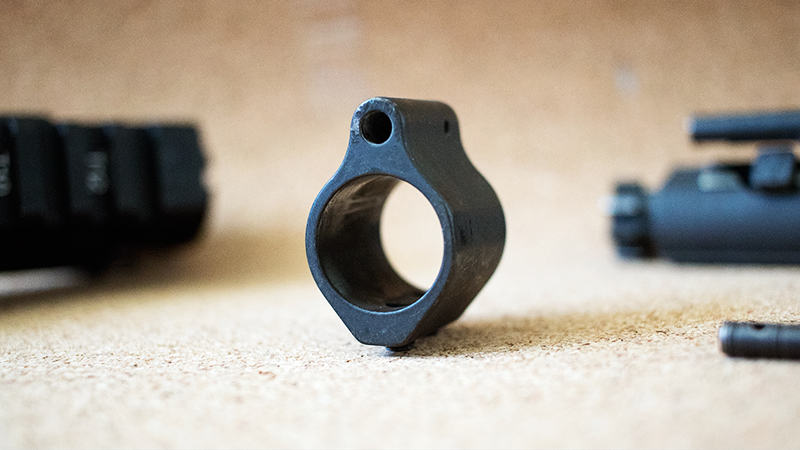 Functionally, there aren’t many differences between suppliers as each component should be made to fit a standard upper receiver regardless of the manufacturer. But I recommend always choosing parts from a reputable manufacturer for added security. Charging handles are a common upgrade and many people find larger or ambidextrous latches make charging their weapon a lot easier. If you are left handed or have trouble charging the weapon this is something you want to consider. 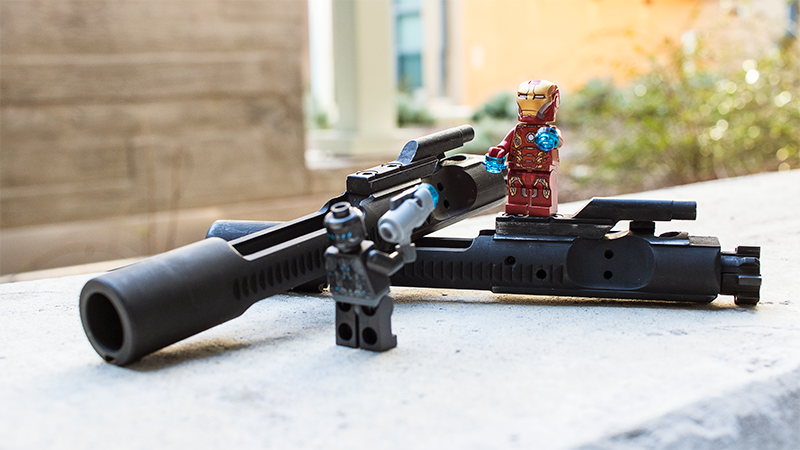 The bolt carrier group is the heart of the AR-15. And although it serves a number of functions, it’s operation is rather simple. Rapidly expanding gas, siphoned through the gas system, enters the gas key on the bolt carrier. The bolt carrier group is pushed rearward and extracts the spent cartridge and ejects it through through the ejection port. Simultaneously, the excess gas is vented to the atmosphere. As the bolt carrier group travels forward a new round is stripped from the magazine and chambered. Then the fun starts again. 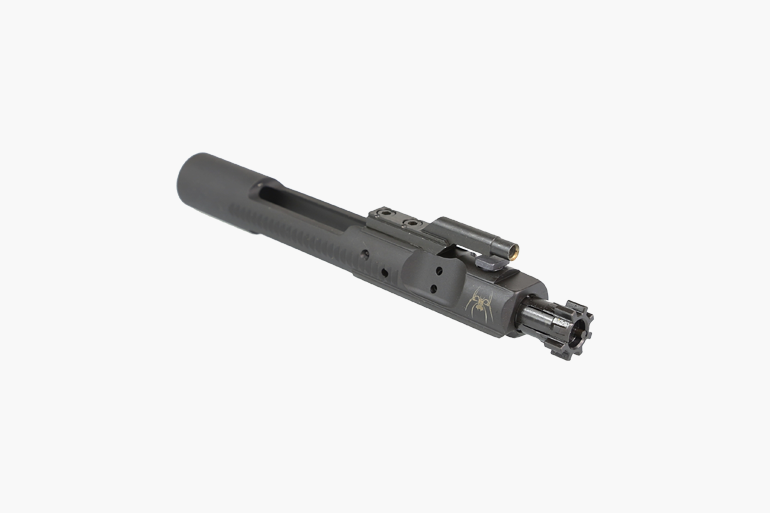 Bolt carrier groups are made from various steel alloys and come in several variations and finishes. Since this is a crucial part, I recommend selecting a bolt carrier group, from a reputable manufacture, that matches or exceeds military specifications. The bolt should, at least, be shot peened, high-pressure tested (HPT), and magnetic particle inspected (MPI.) Ideally, the carrier should be chrome lined (or lined with a similar material) and the gas key should be lined and properly staked. Another crucial consideration for any AR-15 builder is the barrel. The barrel is fastened to the upper receiver via a barrel nut. It features a barrel lug that is precisely machined to match your bolt carrier group and upper receiver. 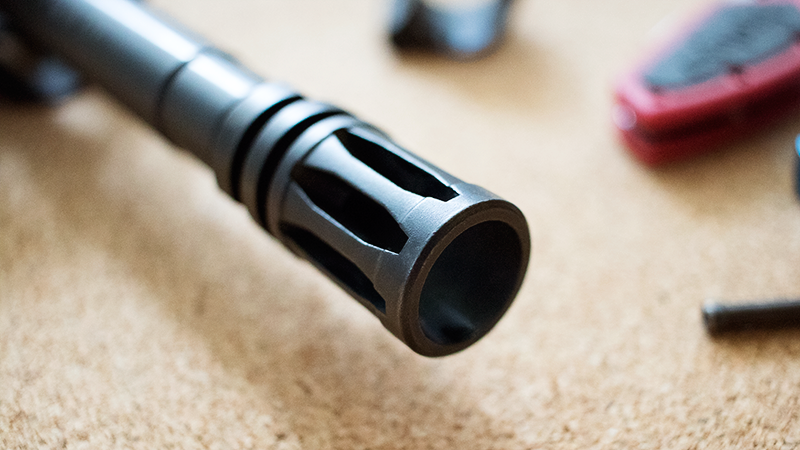 A gas port is located towards the end of the barrel where a gas block or combination gas block and front sight post is attached. Finally, a gas tube is attached to the gas block and directs gas to the gas key located on the bolt carrier. 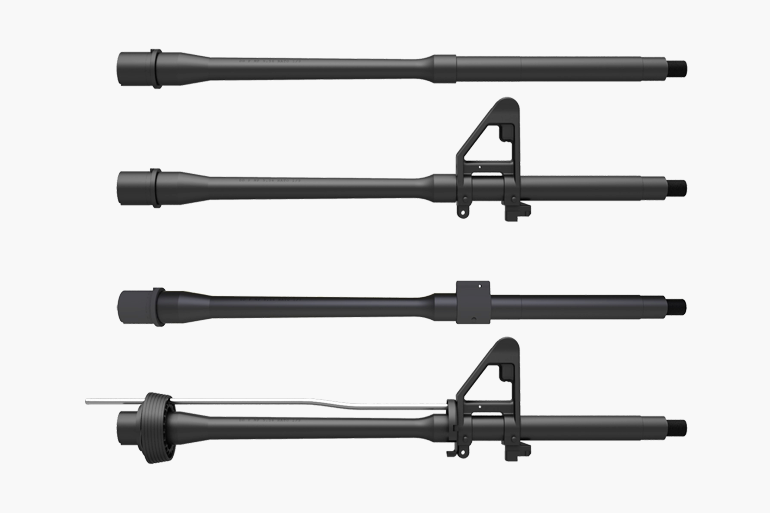 Like bolt carrier groups, barrels are made from various steel alloys and come in several profiles, lengths, finishes, etc. Another thing to be cognizant of is gas system length. The distance between the gas port and the gas key can greatly effect things like dwell time and how smooth your weapon operates. It can also impact what parts you choose as you seek to mitigate these effects. Gas systems are commonly found in pistol, carbine, mid, and rifle lengths. 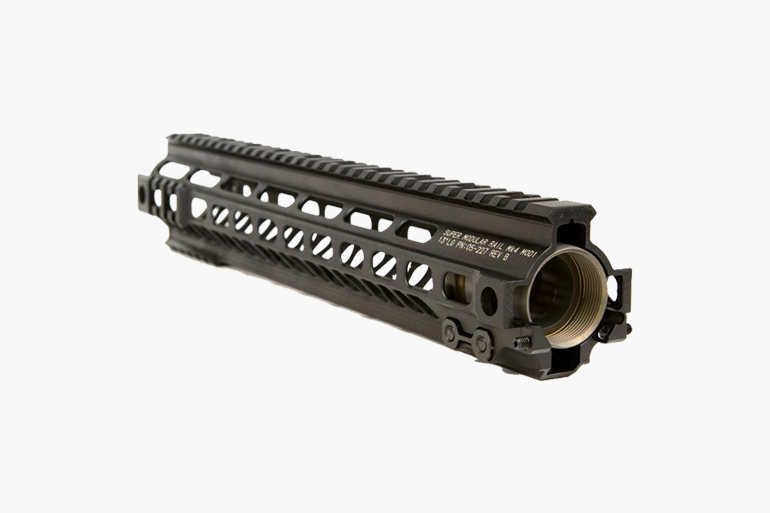 A great handguard will change the look and feel of your AR-15 dramatically. And it provides a lot of functionality that’s not immediately obvious. The handguard protects your hand from the searing heat of the barrel as well as the somewhat delicate gas system concealed underneath. It also provides a firm location to grip your weapon and maneuver it while staying on target. AR-15 handguards fit into two general categories- two-piece handguards and free float handguards. Two-piece handguards are native to military style weapons and are held in place with a handguard cap and delta ring. They are simple, cheap, and easy to remove, making them very popular. Free float handguards are attached to the barrel nut directly and don’t touch the barrel at all, resulting in a more accurate weapon overall. In addition, there are a few rail standards to be aware of. 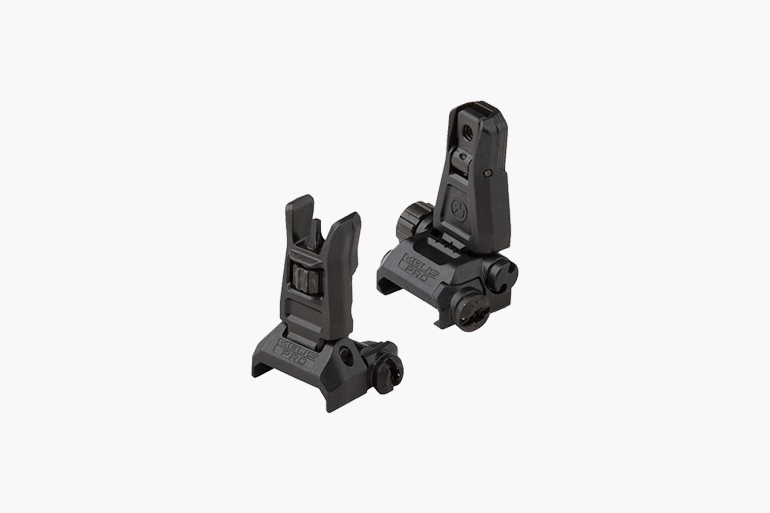 Picatinny, M-LOK, and KeyMod are the most prominent mounting standards and allow you to attach various accessories like foregrips, flashlight mounts, and backup iron sights among other things. Good quality backup iron sights are a must. At least if you want to hit your target. Yet they’re almost an afterthought in some builds. 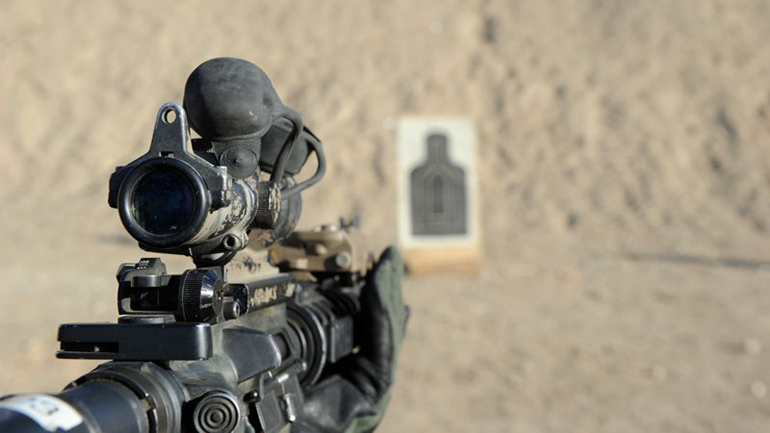 Stable, durable sights ensure an accurate, reliable weapon when you need it. It sounds complicated, but it’s really not. I’ll even show you a quick method to sight your weapon that’s dead simple and very effective. The other half of the AR-15 starts with the stripped lower receiver. 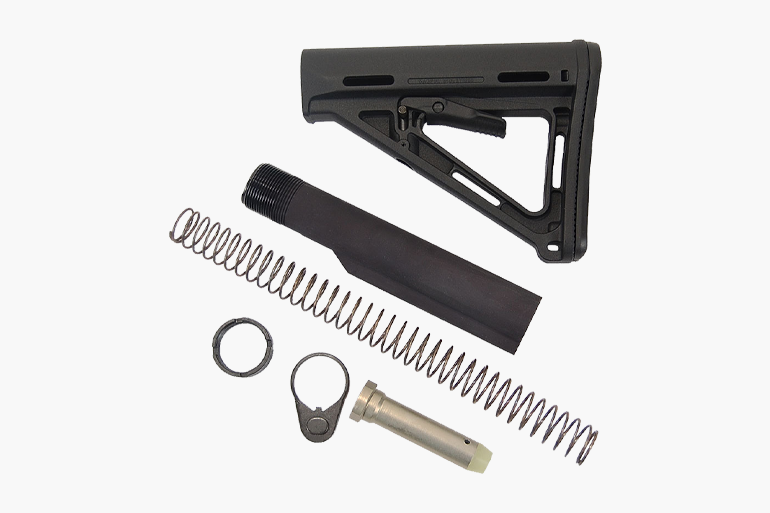 It houses a number of important parts crucial to a functioning AR-15. This includes the bolt catch, trigger group, magazine release, and selector. Externally, the buffer assembly and buttstock are attached as well as the pistol grip. The AR-15 lower is the only serialized portion of the weapon, meaning you can acquire every other part without going through a federal firearms licensed dealer. 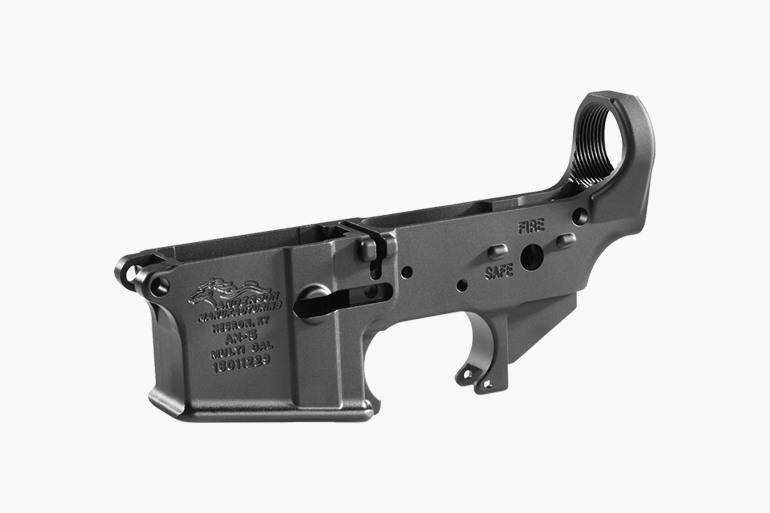 Both forged and billet lower receivers are available and offer the same advantages and disadvantages listed for the upper receiver. Again, forged receivers are the most popular choice and offer a great balance of strength, durability, and low price. Billet receivers are a bit more expensive but offer a unique aesthetic you won’t find with forged receivers. 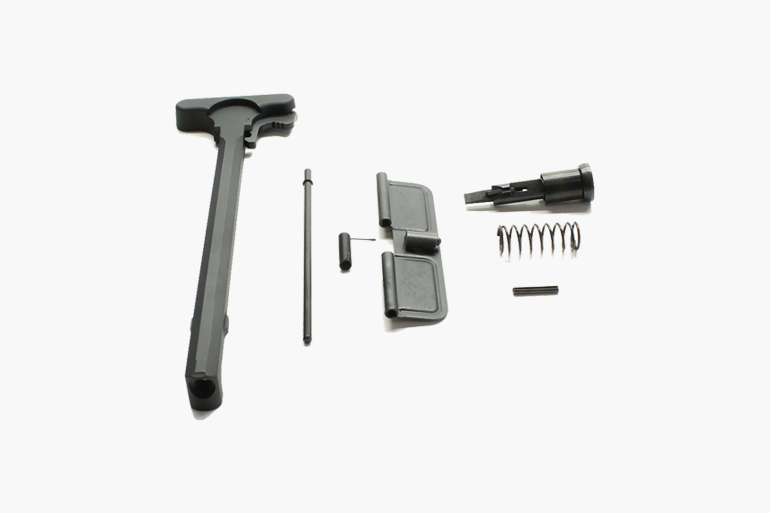 The parts list for an AR-15 lower receiver is long. Fortunately most of the parts are roll pins or springs and putting it all together is rather easy. 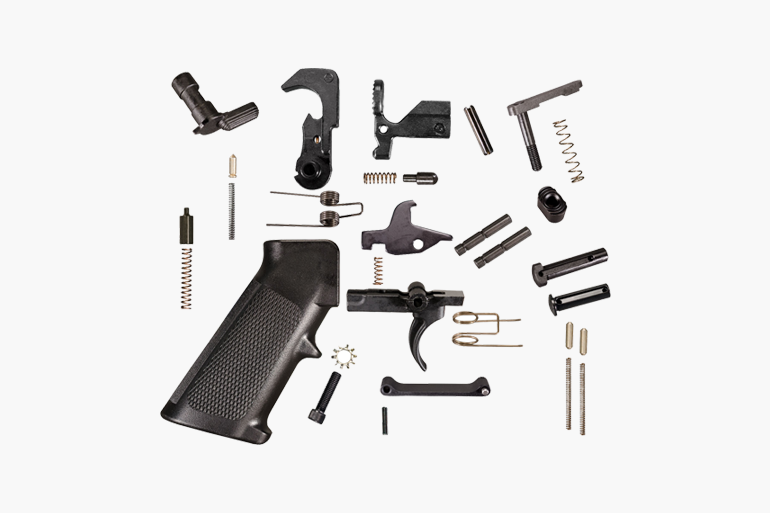 The major parts are the trigger group, bolt catch, magazine catch, takedown/pivot pins, pistol grip, and their associated parts. Obviously, these are all important functions and good quality parts will have a significant impact on the fit, finish, and operation of your weapon. An excellent option for most people is to purchase a complete parts kit that includes everything you need from the start. That way you won’t have to deal with the hassle of lost or mismatching parts, which can be a problem. And you can simply change or upgrade parts where needed. The buttstock provides a stable means to support your AR-15 and easily maneuver it while staying on target. The buttstock is mounted on the buffer tube and transmits recoil into you shoulder. This recoil is mitigated by the buffer and buffer spring housed inside the buffer tube. The buffer and buffer spring are also responsible for returning the bolt carrier group back to battery once fired. Like the handguard, the buttstock, and it’s associated parts, will change the look and feel of your AR-15 dramatically. There are a ton of options available and there is a lot to consider. Adjustable buttstocks are the most popular choice and there are a ton of unique makes and models worth considering. Fixed and skelentonized buttstocks are widely available as well. What you choose will depend heavily on the style and purpose of your weapon. Continue to think about how you’re going to use your new AR-15 and what the means as far as the parts listed above. If you simply want a fun range toy or something for personal protection, stick with simple, high-quality mil-spec parts and accessories. If you want something a bit more custom or for competition, by all means go all out. Once you’ve figured it all out, come back for the next lesson, where I’ll talk about how to pick out the parts for your AR-15 build and even where to shop for them.